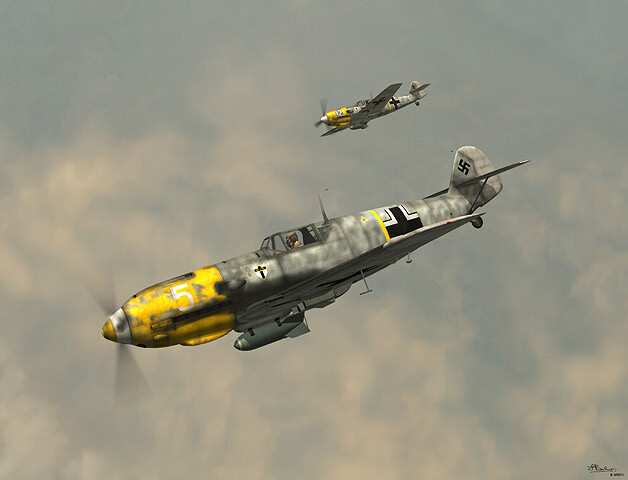 Here is a pair of bomb-laden Messerschmitt Bf109E-7/Bs belonging to III./JG27, during the Balkan Campaign of 1941. The yellow and white painted areas were used recognition markings, so that they were not fired upon by friendly ground units during their low-level sorties. A larger sized image is on my website.